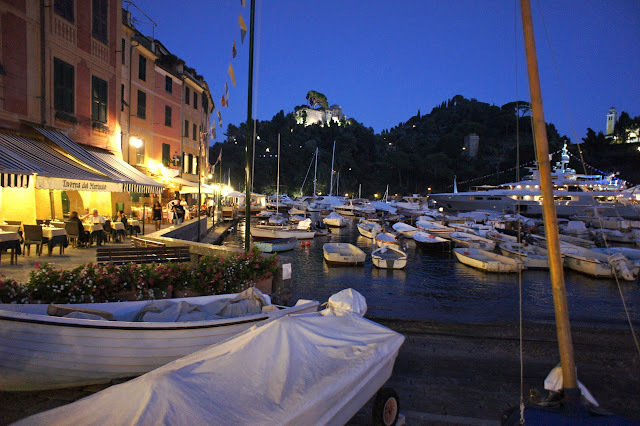 Portofino would be one of our favourite places in Italy. Located 3 hours' drive from Milan and by the Italian Riviera, it is a faux fishing village where the rich and famous dock their luxury yachts. It is bustling during the day with tourists who come in by bus, ferry from neighboring villages or cruise liner, but quiet and peaceful in the early morning and evening when all who are left are the guests at the very few hotels here or 'residents' from the yachts. 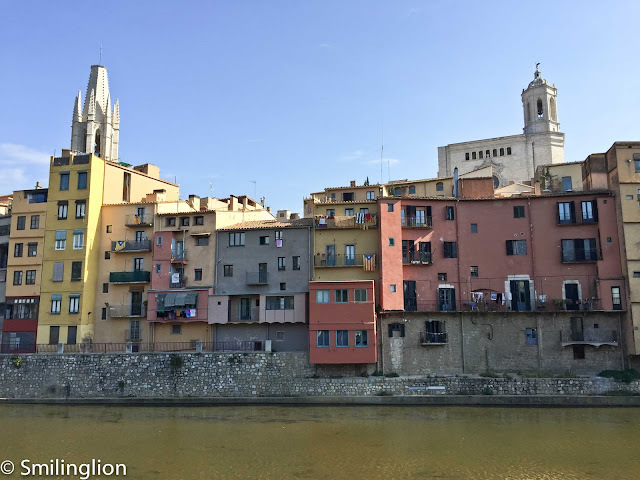 It is lovely because the town, though attracting the rich and famous as well as the hordes of tourists at certain times of the day, manages to retain its charm as a small Italian seaside village, and is, in our view, nicer than any of the villages along the Cinque Terre stretch. This was our second visit and the weather this time was unseasonably perfect (it was end September and the evenings were 19-20 degrees C). Food here would be solely fresh seafood cooked in a variety of ways with their regional Ligurian olive oil. 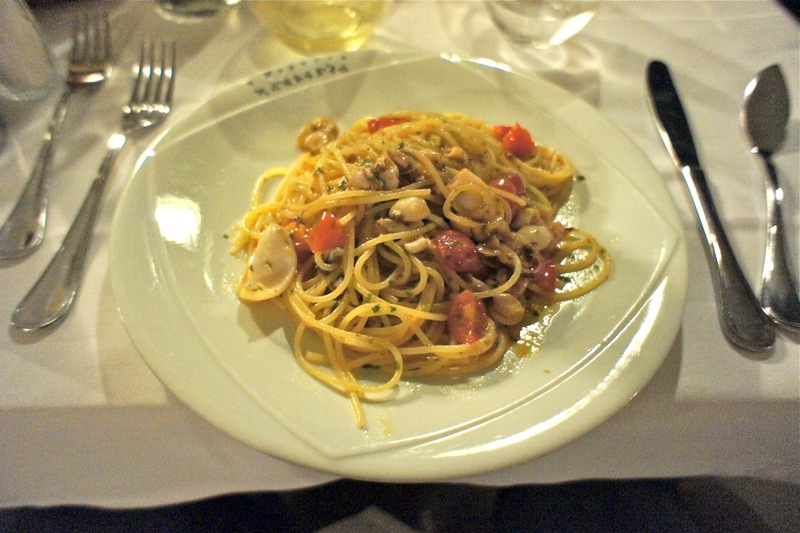 We had just arrived in Italy that morning and was quite severely jet-lagged, so we went for a light dinner at O Magazin, a restaurant along the waterfront which was recommended by our hotel concierge. Our table was by the water's edge and we enjoyed a relaxing dinner in the cool air of the evening. The menu here was quite simple, and we each ordered a seafood linguine which was wonderful with the fresh clams, fish and cherry tomatoes doused in the delicious Ligurian olive oil. 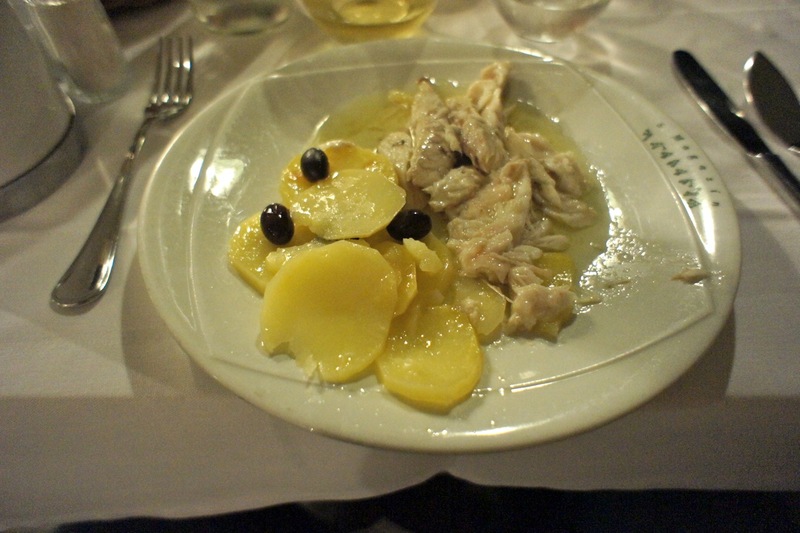 Main course was the baked sea bass (once again drowning in olive oil). It was very nicely done. Our meal was accompanied by a half-bottle of a local white wine made from the pigato grape (not the finest grape from which wine is made). We skipped dessert and went straight for a double dose of strong espresso to help us combat jet-lag. The meal was not cheap but that wasn't surprising considering the location of the restaurant. 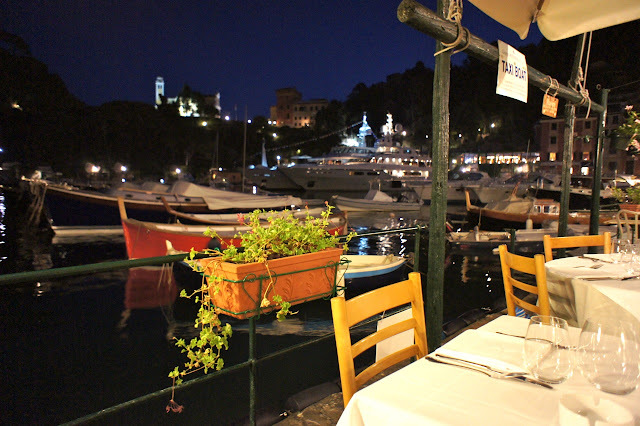 Final Thoughts: Wouldn't be my first choice of restaurant in Portofino but food is reasonably good and a table at the waterfront gives excellent views of the bay and the town.